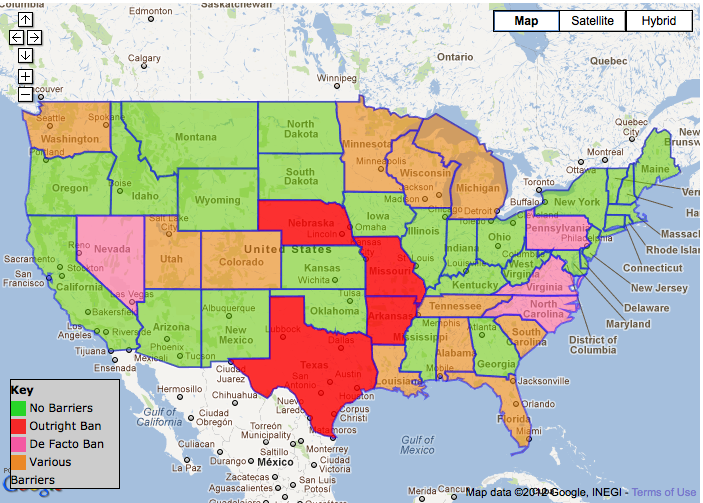 Institute for Local Self-Reliance releases new interactive map of publicly owned fiber-to-the-home and cable networks. Even as AT&T tries to swallow up T-Mobile, further consolidating the telecommunications sector, a new phenomenon is maturing that promises to give communities a vehicle for influencing their own telecommunications future: publicly owned networks. A new map just released by the Institute for Local Self-Reliance (ILSR) shows the location of over one hundred communities that have rejected the tyranny of existing carriers and built their own networks. 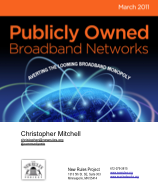 The Community Broadband Map lays the foundation for a new report released by ILSR, Publicly Owned Broadband Networks: Averting the Looming Broadband Monopoly. The report argues that community networks offer the only potential form of future broadband competition for most Americans. The report calls on the Federal Communications Commission to protect the right of communities to build broadband networks by preventing heavily lobbied state legislatures from stripping their authority to do so.